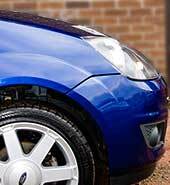 ll vehicles in for repair with us are washed and cleaned. An extensive quality control audit is then carried out on the vehicle prior to the vehicle being handed over to the customer. All our paintwork then carries a lifetime guarantee. As long as you own the vehicle any fault that develops will be put right free of charge. f you as the customer do not have the time to get to us for an estimate we can also travel to your home or work. Another option for our customers is to upload photos of the damage to your vehicle via our website and we can produce you an estimate from those images. Remember all of our estimates are free of charge and can be delivered by email or post. 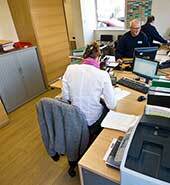 hour working patterns allow us to provide our customers with the quickest possible turnaround times for their repair. If your car has a small dent or scratch, drop your car off in the evening and pick it up the following morning. Remember customer service is our priority. or the larger repair we offer a fleet of courtesy vehicles both manual and automatic. These are free of charge for the duration of your repair with us. Courtesy vehicles are not sign written so you do not advertise our company whilst driving around. 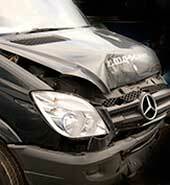 e are specialists in the repair of light commercial vehicles. Our spray booths are specifically built to be able to cope with high top vehicles. Replacement vehicles may be available. e have just introduced via our website a facility for the customer to track the progress of their vehicle repair. All customers are given their own unique login details and can inspect the progress of the vehicle through the repair process. SMS text messages can also be sent out as and when significant events happen i.e. repair authority, vehicle in progress, stage progress of the repair and finally communication of the completion of the repairs. Note: Enter first your vehicle Reg followed by the Job Code provided to you.